ak stops and smells a flower, originally uploaded by hep. could ak be any cuter? i don't think he could. 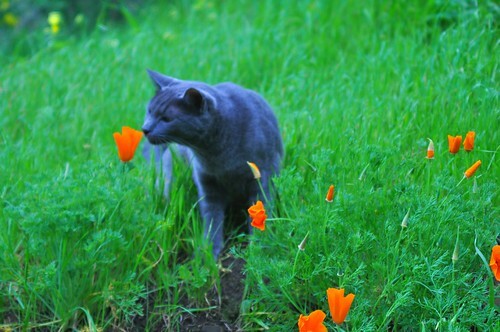 we took a walk one day about a year ago, and he literally stopped to smell the flowers. omg I love that so much. that is awesome. happy early caturday! i got your prints and card in the mail. NGL the card made me tear up a bit. I'm going to frame the prints soon, thank you so much again!